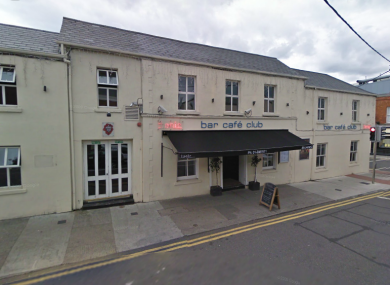 The Tonic Bar premises in Blackrock will house the new JD Wetherspoon bar. BRITISH PUB OPERATOR JD Wetherspoon has exchanged contracts to buy its first pub in the Republic of Ireland, the Tonic Bar in Blackrock, Dublin. The company expects to complete the €1.5 million purchase in the next ten days. In a statement, JD Wetherspoon said it plans to invest a further €1.5 million developing the site and while there are no on site or opening dates, the aim is to the new-look pub open by April next year. The company owns over 800 outlets across the UK and is known for its low prices and long opening hours. Commenting on the expansion into Ireland, JD Wetherspoon founder and chairman, Tim Martin, said the aim is to “invest up to €50 million in the Republic of Ireland over the next five to ten years, opening between ten and 20 pubs”. “Each put will create approximately 50 jobs,” he added. Email “British pub chain JD Wetherspoon buys Dublin bar for €1.5m”. Feedback on “British pub chain JD Wetherspoon buys Dublin bar for €1.5m”.